Many employers enhance their workforce with summer students. Although the specific requirements will vary by province, the following are important factors that employers should consider when hiring summer students. 1. Determine what the minimum wage is in your province. Minimum wage varies from province to province, and is determined by factors including age, the nature of the work, and the student’s work experience. In British Columbia, for example, there is a general minimum wage of $10.25/hour. In Ontario there is a separate wage of $9.60/hour for students under 18 who are either working during their summer holidays/on a school break or who are working up to 28 hours per week during the school year. In Alberta, meanwhile, there is one general minimum wage, and it is significantly lower at $9.75/hour. It is important to consult your applicable province or federal employment standards legislation to ensure that you have the appropriate wage rate. 2. Determine whether there are any minimum age requirements for the job. It is important to determine whether there are minimum age requirements for the particular job for which the student is being hired. For example, Québec’s labour regulations prohibit employees under 18 from certain construction-related work, such as work on suspended scaffolding. Meanwhile, Ontario’s regulations require students to be at least 16 for construction work, and at least 15 in order to work in the shipping and receiving department of a warehouse. In British Columbia, parental consent is required before an employer can hire a child between the ages of 12 and 14, whereas in Saskatchewan, 14 is the absolute minimum age for employment. 3. Determine whether there are any restrictions on hours of work for students. Generally, the statutory hours of work and rest period provisions that apply to regular employees will also apply to students. However, in some jurisdictions, there are statutory exemptions from hours of work provisions that will apply to work traditionally done by summer students. Examples of such work include counselling at recreational camps and working on farms. Age may also affect the maximum number of hours a student can work. For example, children under 14 in Nova Scotia cannot work between the hours of 10:00 p.m. on one day and 6:00 a.m. on the next, and generally cannot work for more than eight hours per day (three hours if still in school). 4. 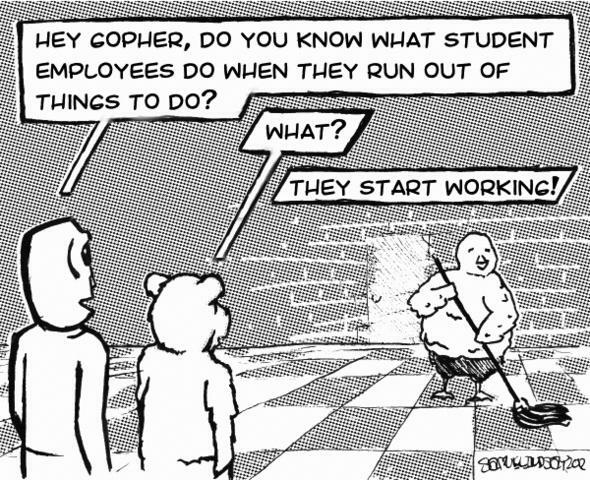 Consider whether the student is an employee or a volunteer. Even if hiring students is not within your company’s purview this summer, you may welcome student volunteers or interns into your fold. When engaging volunteers or interns, it is important to document their presence in your workforce, particularly to confirm their non-employee status (i.e., that they are not eligible for wages, employee benefits, or other entitlements such as notice of termination or pay in lieu thereof). It is also important to remember that volunteers, like employees, should be provided with adequate and appropriate orientation and training, particularly when they are performing tasks alongside employees that would otherwise merit such training. Finally, it is important to determine whether it is necessary or appropriate to have your student employees, interns and/or volunteers covered by your workplace benefits and insurance programs, including workers’ compensation. 5. Ensure that students receive training that is appropriate and tailored to their job functions and experience. While all employees, regardless of the nature of the work and the scope of the employment relationship, should be provided with appropriate health and safety training and orientation, it is important to recognize that summer students often perform jobs that require additional first-aid or industry-specific orientation, training and qualification. Examples include lifeguarding, serving liquor, preparing and serving food, and doing construction, industrial or manufacturing-factory work. Employers should also be attuned to the fact that certain characteristics among young workers make them a particularly vulnerable class of employees: being inexperienced, they are less cognizant of potential workplace hazards, they tend not to question instructions given by superiors, and they often neglect or are reluctant to ask for elaboration when they do not understand a task — a dangerous combination of traits. So, to protect these vulnerable employees from having accidents in the workplace, it is imperative that they are provided with adequate orientation and training specifically tailored to their job function and experience. Young worker safety is often a key mandate and focus of the provincial and federal occupational health and safety authorities. For example, the Ontario Ministry of Labour recently commenced a four-month summer safety inspection blitz targeted specifically at employers in the industrial, construction, retail and service sectors who hire young and new workers. Adequate training, supervision, and safety precautions at the work site are the main areas of investigation, as well as whether the student workers meet minimum age requirements. 6. Would the student benefit from a mentor? A mentorship program can be an invaluable resource to a student new to the industry or to the workforce. The guidance of a more experienced peer will provide a strong example of how to engage in their assigned job functions and tasks in a productive and safe manner. A mentor also provides an outlet for discussion should the employee have questions they are uncomfortable raising with a superior.